You don't need to spend a small fortune updating your wardrobe for summertime. These must-have summer pieces aren't just fashionable, they are also very affordable. Whether you are headed to your backyard pool, the local beach or cruise vacation, suit up in an adorable tankini this summer. Tankinis are perfect for moms -- offering the comfort of a two-piece swimsuit without the overexposure of some bikinis. Tankinis are also a great option when your top and bottom aren't the same size because you can buy the pieces separately. 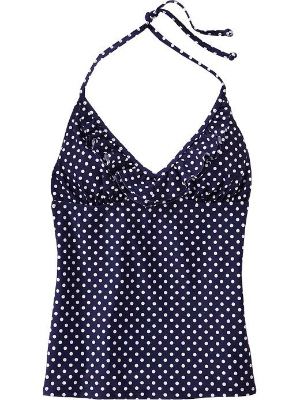 You'll love this ruffle tankini top in pretty polka dots. It's on sale now at Old Navy for about $17. This tankini top looks fantastic when paired up with the matching boy-short bottoms, priced under $20. 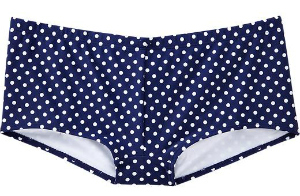 If you don't love polka dots, don't worry. This tankini comes in a variety of other prints and solids. No-fuss dresses are a must for summer. 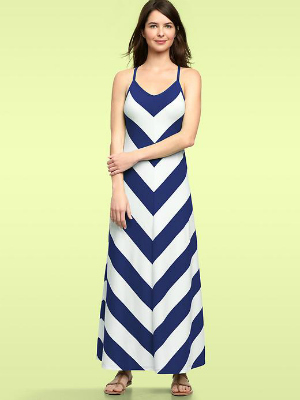 You'll adore this chevron stripe maxi dress from Gap. This dress is perfect as a beach cover-up, for a summer get-together or anytime you need to just throw on something and go. Partner this dress with your favorite sandals, and that's all you need to look fresh and chic. Available in five colors, this maxi dress comes in women's sizes XS through XXL and is priced at $75. A roomy tote bag is a must-have for summertime. Straw totes are in style every year, no matter how much the trends change. 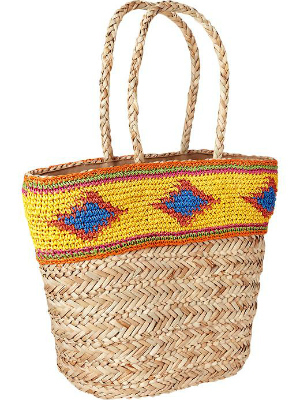 You'll adore the straw basket-weave tote available at Old Navy. This bag is 20 inches wide, so it's big enough to hold everything you need at the beach or pool. It can also be used as an eco-friendly shopping tote. Snag this straw tote now for just $23 in your choice of two colors. For summertime, pick a pair of flat sandals as your go-to pair of shoes. We love beaded thong sandals because you can wear them everywhere from the grocery store to a summer party and always look chic. 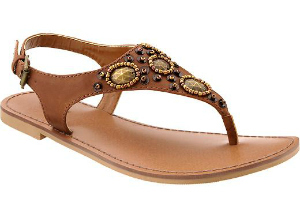 Check out these beaded thong sandals from Old Navy. They feature bead and appliqué accents along the T-strap, plus an adjustable ankle strap from comfort. Priced at under $25, these flat sandals are available in whole sizes from 6-11. You don't have to spend a small fortune on a pair of sunglasses. Moms on the go this summer can just buy a cheap pair or two and not have to worry about them getting lost, scratched or damaged. 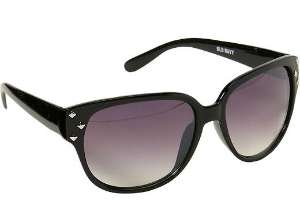 Old Navy offers a chic pair of shades with diamond-shaped accents on the sides. These affordable sunglasses feature 100 percent UV protection and receive high ratings from buyers. Priced just under $10, they are a summer bargain that you just can't pass up.